Rome is such an ancient and dense place that prioritizing attractions can be overwhelming. Where do you start, indeed? We’ve pulled together a list of world-famous sites and lesser-known destinations that will provide you with the full spectrum of outstanding experiences the Italian capital has to offer. 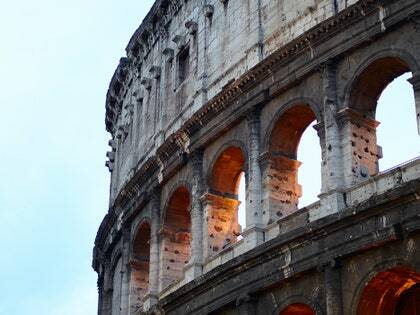 Read on for our picks of what to do in Rome. Most artists and architects working in the characteristically ornate and emotional Baroque style leaned heavily on color and materials to create strong visual impressions. 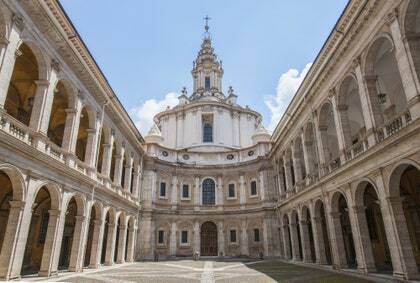 Not Borromini, in this magnificent church originally designed for the Università di Roma. Using simply molded stucco forms and daylight, the maestro created an interior space that’s at once intimate and infinite, simple and complex.If you’ve seen Bernini’s interior design at St. Peter’s Basilica, this is a great place to see how his rival achieves absolute architectural perfection without using scale and color as a crutch. There’s no guide. Walk in, take a seat, and take it in. 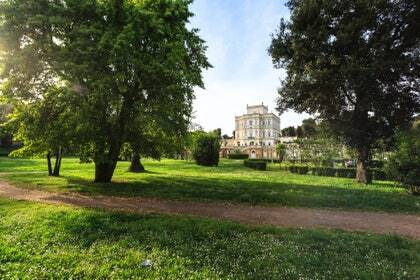 Rome’s largest public park is divided into manicured gardens, stretches of forest, pine groves, and bits of wild vegetation. There are wide open fields, as well as intimate nooks for romantic picnics. It’s a perfect destination for runners or cyclists who want to get in a few miles without the nuisances of car traffic and smog. Whether you visit for a stroll, a meal, or a workout, be sure to have a map. The place is huge and some exits spit you out into residential neighborhoods. If you know the background of the building, a visit to the Colosseum will be truly amazing and totally live up to the hype. The place was used for wild beast hunts, public executions, and gladiator fights for several hundred years, then became a condo of sorts as medieval Romans made their homes in the hulking ruins. Spend a little time on the second story exhibition area, check out the artists’ renderings of the building’s ancient and medieval incarnations, and you’ll be anxious to learn more. In spite of being Rome’s largest farmers market, the Mercato di Campagna Amica remains down to earth and not at all corporate—as demonstrated by the fact it’s only open on weekends. 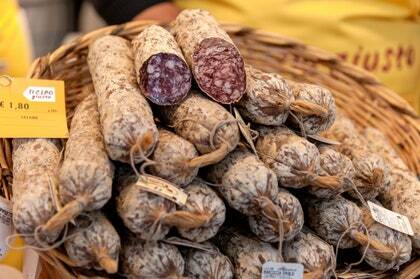 The stalls adhere to the “0 km” philosophy, shorthand for products made or grown within 100 kilometers from the point of sale; and vendors come mostly from Lazio, Rome’s home region. It’s a crash course in the local leafy greens, amusing in their number and variety, especially to visitors from northern climates. The olives you’ll find here (and the olive oil) are worth a splurge, but one of the market’s best uses is as a source of super-fresh (and super-cheap) picnic material. Grab some bread, a little fresh pecorino, a few slices of prosciutto, and some fruit—all for well under €10—and make yourself a lunch. 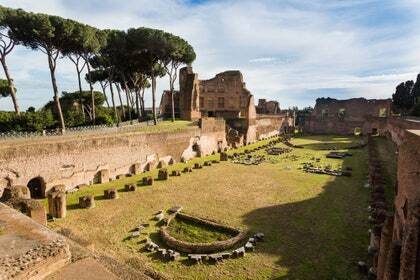 The Palatine Hill is a big, sprawling open-air museum. 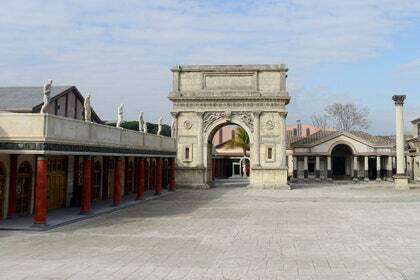 There are emperors’ palaces, manicured gardens, medieval churches, and a terrace overlooking the Forum and beyond. The admission fee is €12 ($15)—steep for Rome—but covers the Roman Forum and Colosseum, too, making it a pretty great deal. 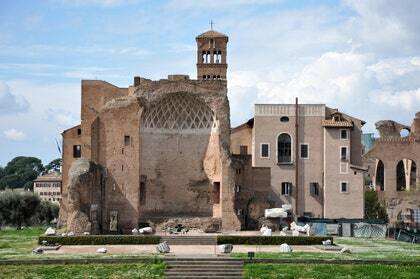 Although the Palatine has monuments from every major era in Rome’s history, the real draw is a 1st-century palace built by Domitian, a mad emperor with a very serious architecture addiction. 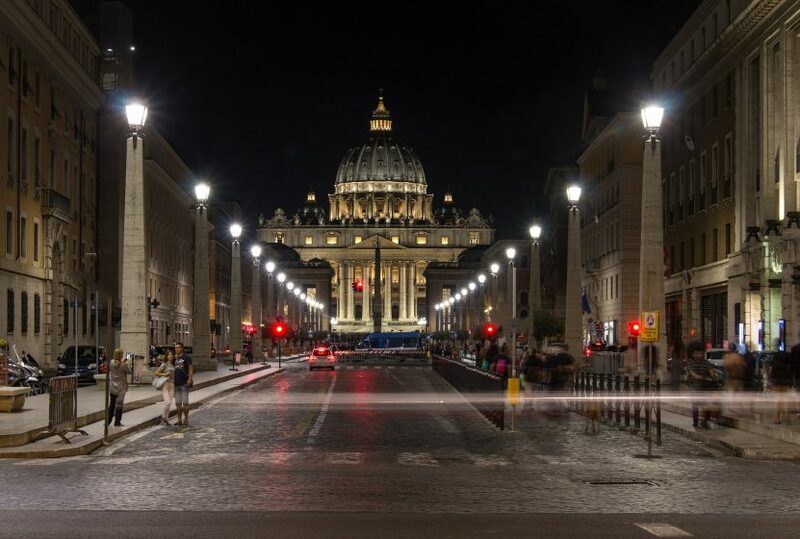 A residential district near the Colosseum and Roman Forum that’s evolved, over the past two decades, from a run-down zone into a trendy shopping district and nightlife destination. Explore it by way of giving yourself an afternoon off from Big Rome—the bohemian vibe’s a nice change from the monumentalism that (wonderfully, but exhaustingly) pervades so many of Rome’s top destinations. 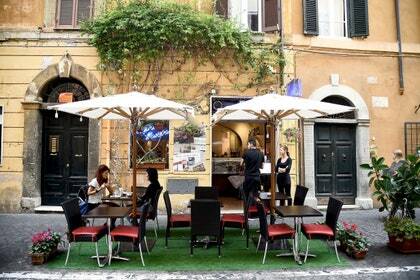 Let yourself wander the movie-set streets, (window) shop, linger in cafes, and grab a drink in one of Monti’s many bars. 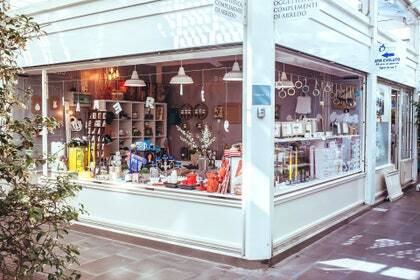 Fashionable shops selling clothes and home decor will be open in late afternoons; when you get hungry, head to Trieste on Via Urbana 112/113 for pizza, and Fatamorgana in Piazza degli Zingari for delicious gelato. Once the clock hits 6:30 or 7:00 p.m., pop into wine bars Al Vino Al Vino (Via dei Serpenti 19) or Civico 4 (Via degli Zingari 4) for a couple of glasses and some light snacks. This museum houses Rome’s largest private collection, a trove assembled by the Doria, Pamphilj, Landi, and Aldobrandini families and brought together through marriage. 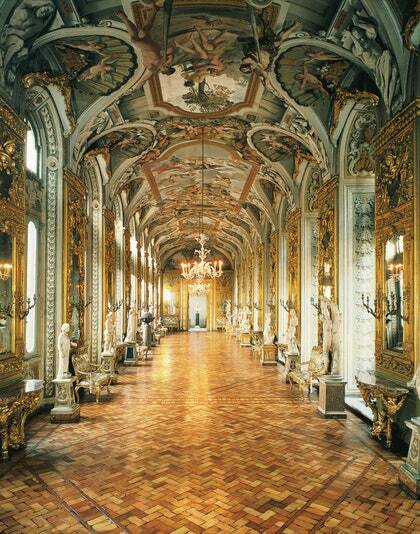 It’s set in a noble palace still inhabited by the Doria Pamphilj family and the ornate halls provide a grand setting for such an overwhelming amount of art. 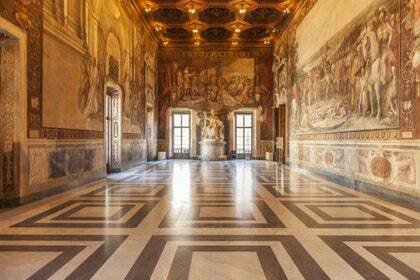 The collection is acclaimed among 16th and 17th-century art aficionados but is off the average visitor’s radar even though it’s located just off Piazza Venezia and close to the Forum. This is a leisurely stroll beginning in Trastevere and winding up via Garibaldi to the top of Janiculum Hill. The mood changes from urban at the beginning to monumental at the end; it’s a bit of work, but rewards those willing to do it with a unique perspective on Roman history and some of the best views of the city. Best to do the walk during the day, or early in the morning if it’s summer. 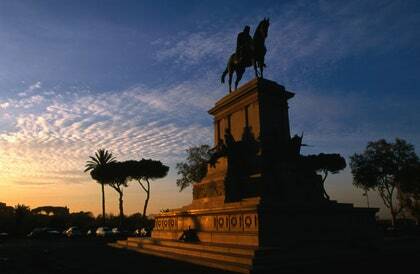 If you’re on a tight schedule, don’t want to brave the hill in the heat, or just want to get a view, skip the hike and take a taxi directly to Piazzale Garibaldi. The San Zeno Chapel is a small chapel and major pilgrimage destination inside the church of Santa Prassede (aka Saint Praxedes). The church, chapel, and mosaics all backdate to the 9th century when Pope Paschal I built the chapel and its Byzantine mosaics for his mother. Because the chapel houses the remains of a pillar believed by many Catholics to be from the Flagellation of Christ, it draws some pilgrims. 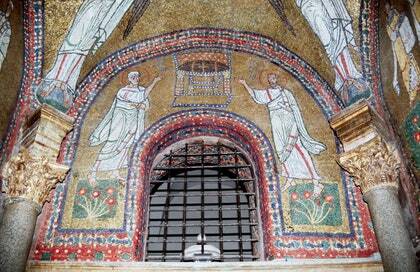 Other visitors are travelers specifically there to see the Byzantine mosaics. A sprawling palatial pavilion built by emperor Nero in the 1st century that will blow you away with the design taste and command of concrete and space on display. You can only visit on weekends—the site’s under restoration during the week—but admission includes a guided tour. Ours was led by an archeologist who not only worked on the site but was totally obsessed with it; the passion made for a terrific tour. Try your luck. This market in one of Rome’s most bustling central neighborhoods has all the usual suspects: bread bakeries, produce stalls, fishmongers, butchers, and delis. You’ll also find seasonal vegetables like artichokes or zucchini, cuts typical of the local cuisine like tripe and liver, and little chewy pizzas common to Roman bakeries. If you’re looking for luncn (or to stock a picnic), hunt down takeaway stalls like the stellar Mordi e Vai, which serves Roman sandwiches near the Via B. Franklin exit. The stalls on the eastern side of the market mainly sell clothes, shoes, and housewares. There’s even a hair salon, in case you’re needing a touchup. Home to one of the finest collections of ancient sculpture in Rome (and therefore the world), the Capitoline Museums are—weirdly—rarely crowded. They attract school groups, local history and art buffs, and travelers, all of whom tend to meander through the museums’ various buildings, two of which were designed by none other than Michelangelo. Thanks to its collection and its proximity to Rome’s main archeological attractions, it’s a logical place to stop after visiting the Roman Forum and Colosseum. 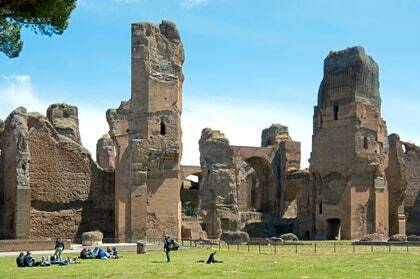 The Baths of Caracalla were a massive public bathing complex built in the third century. Throughout the year, the site is open during the day for visitors to stroll through ruins that were so magnificent they inspired the Main Concourse at Grand Central Terminal. Each summer, the city of Rome’s Opera company performs at the Baths, using the towering brick ruins as a backdrop. The contrast of the ancient buildings, celebrated operas, and modern acoustics and lighting is stunning. 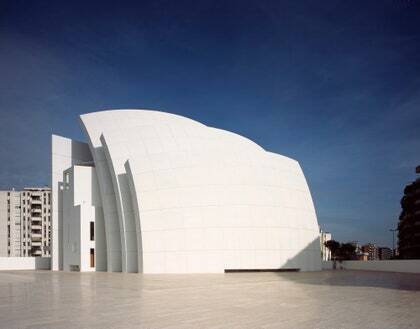 Chiesa di Dio Padre Misericordioso, also known as the Jubilee Church, was designed by American architect Richard Meier as part of the Vatican’s grand church-building and city revival program leading up to the Millennium Jubilee, a Catholic pilgrimage year held in 2000. The church is free, though getting there may cost you. It’s about six miles from central Rome, so a taxi could easily cost more than €25 ($31). Alternatively, you can reach the church via public transport for €3 ($4) round trip. 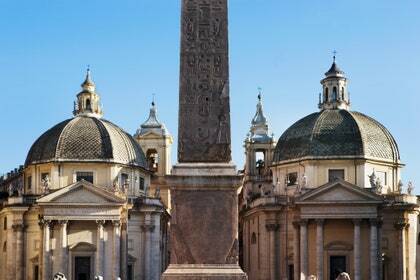 Santa Maria del Popolo is a Renaissance church at the edge of Piazza del Popolo and just within Rome’s 3rd-century walls. 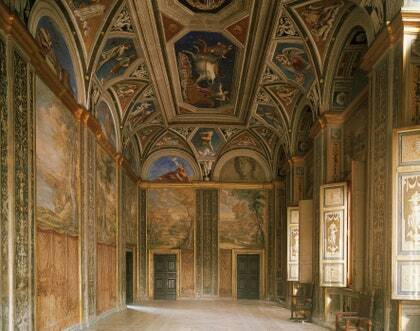 It was decorated during Rome’s most recent artistic peak, the 15th to 17th centuries, and is packed with masterpieces. The church is free, though some coins will come in handy for turning lights on in chapels. The place mostly draws visitors on the Caravaggio trail. Two canvases painted by that controversial and innovative artist hang in the chapel next to the main altar. The Villa was the private residence of Agostino Chigi, one of the Renaissance’s richest men; he liked to showcase his wealth by hiring artists to paint elaborate frescoes on the walls and ceilings in his palace. That makes this a great place for Renaissance fans who want to take their time and see the art in-situ without the crowds. Thanks to Raphael’s emphasis on mythological themes, it’s also a great place for kids who know about the Roman gods—or want to! Pigneto is popular with Italian college students and twenty- and thirty-somethings who frequent the bars on the “Isola,” a pedestrianized stretch of Via del Pigneto, the neighborhood’s central artery. It’s also a destination for Pasolini fans who visit the streets that were the backdrop for his Neorealist films. 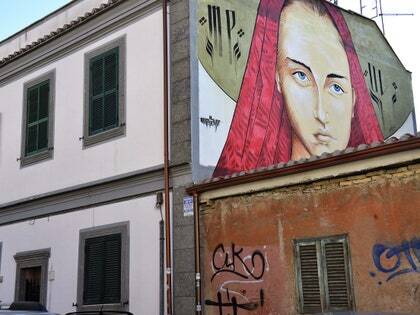 It’s an acquired taste and may feel too rough-around-the-edges for some, but anyone interested in urbanism and street art, or just thirsty to explore neighborhood’s outside of Rome’s historic center, will enjoy it. There are hundreds of churches in Rome, but Santa Maria in Trastevere is one of the most breathtaking. Not only are the mosaics and gilded ceiling spectacular, the very skeletal structure of the church is mind-boggling. The columns that support the nave and separate the aisles are single, solid pieces of granite that were lugged across the river in the 12th century after being plundered from the 3rd-century Baths of Caracalla. 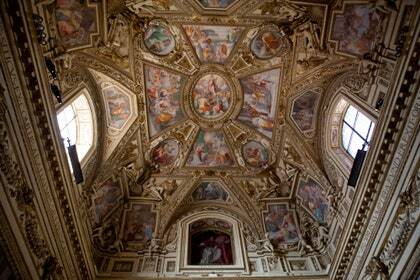 The church will help you develop a taste for medieval Rome, a period often outshined by the Renaissance and Baroque eras. 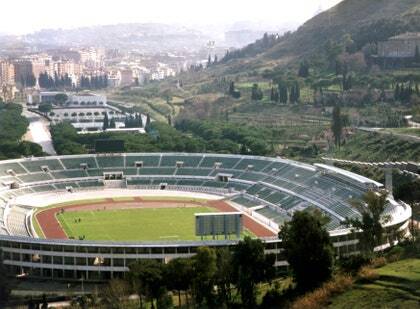 The Stadio Olimpico, named for the 1960s Olympics, is surrounded by a Fascist-era sporting complex, including an obelisk engraved with Mussolini’s name. The stadium itself, the home field for Rome’s rival soccer clubs, AS Roma and SS Lazio, is modern, well-maintained, and seats more than 70,000. The Palazzo Massimo’s building itself was built by Jesuits in the late 19th century and was only turned into a state-owned museum in 1980. It’s next to Stazione Termini, Rome’s busiest station, yet few travelers make the trip to see the museum’s masterpiece-packed halls. The collection is a mix of Classical sculpture, Imperial frescoes, and Hellenistic baroque-style statuary. 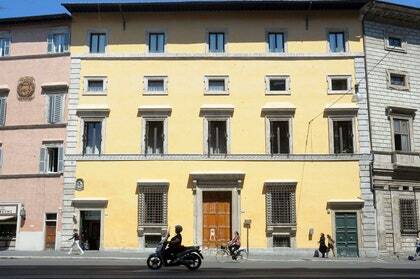 After the Vatican Museums and Capitoline Museums, the Palazzo Massimo is a must for ancient art lovers. The Domus Romane are ancient Roman villas and other structures that were abandoned in antiquity, filled in with debris, and inadvertently used as foundations for Palazzo Valentini, a Renaissance palace turned government office building. They are now underground, obscured by buildings and pavement just beside Piazza Venezia. Booking is required and must be done online. Cinecittà is a massive film and television studio that’s very much in use, but portions of the lots, sound stages, and sets are open to the public. Even though its best days are in the past, it’s pretty exciting to walk through the set for the HBO series Rome and stroll the same grounds that Federico Fellini walked. You’ll leave wanting to rent all the famous movies and TV made there.